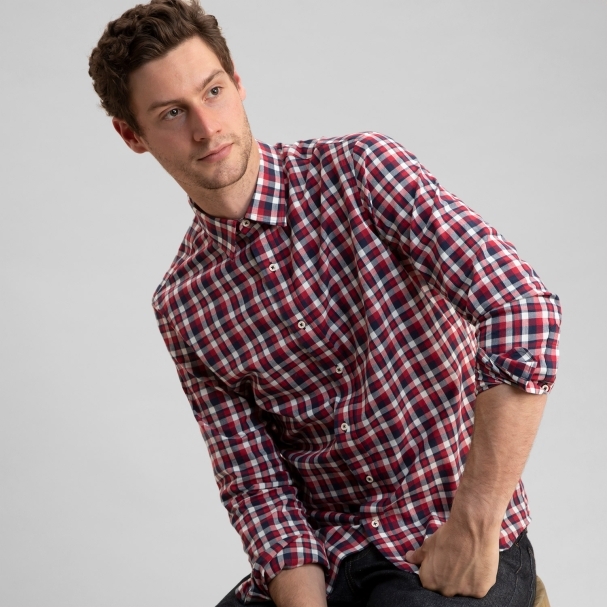 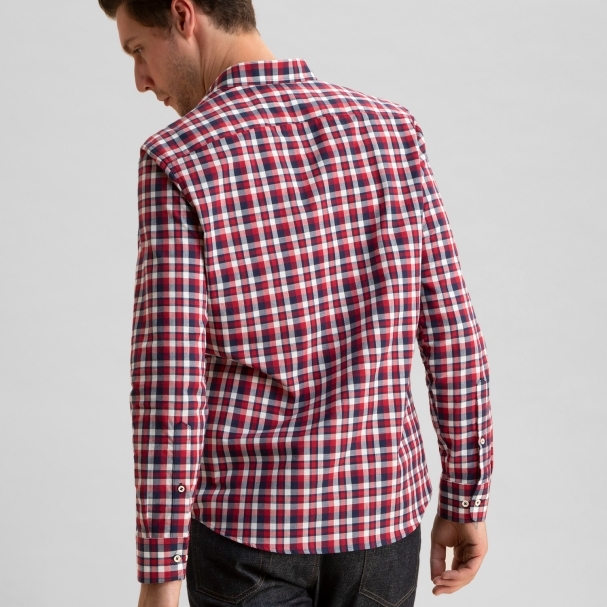 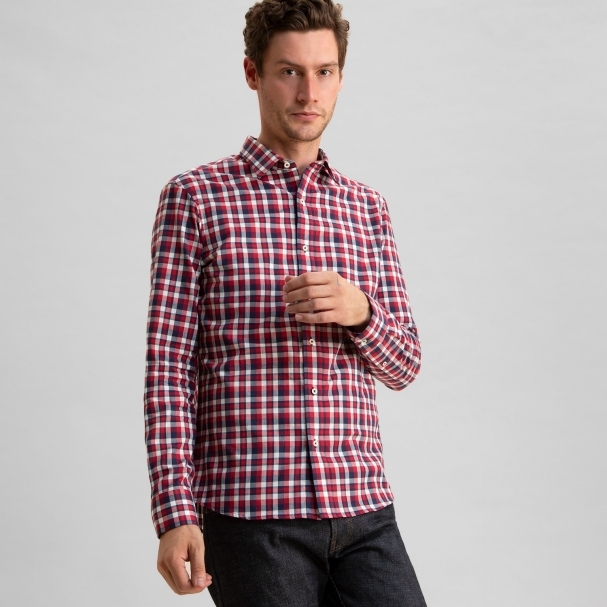 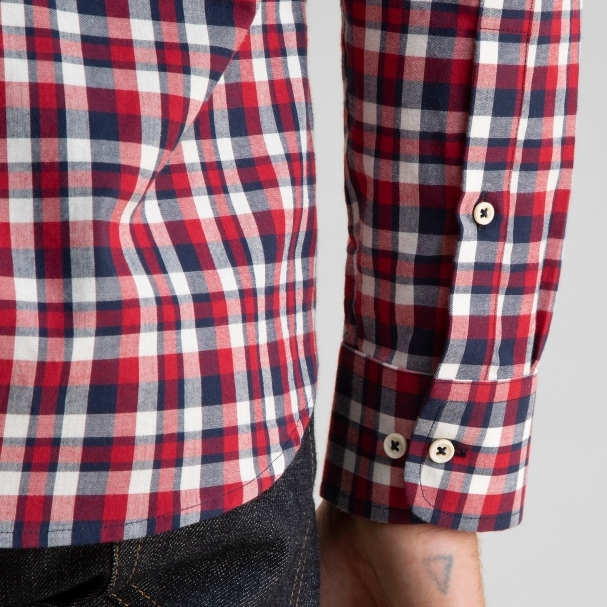 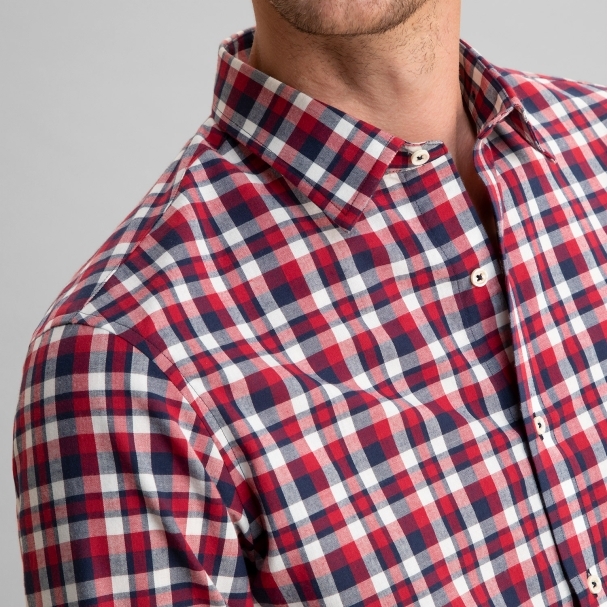 Light-to-midweight Pinpoint Oxford fabric in bold check. 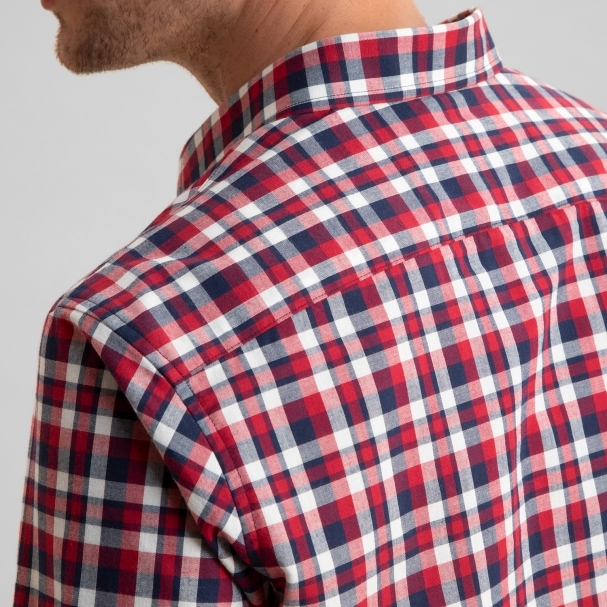 The fabric is milled in Portugal and made into a shirt in our East Rutherford, NJ factory. 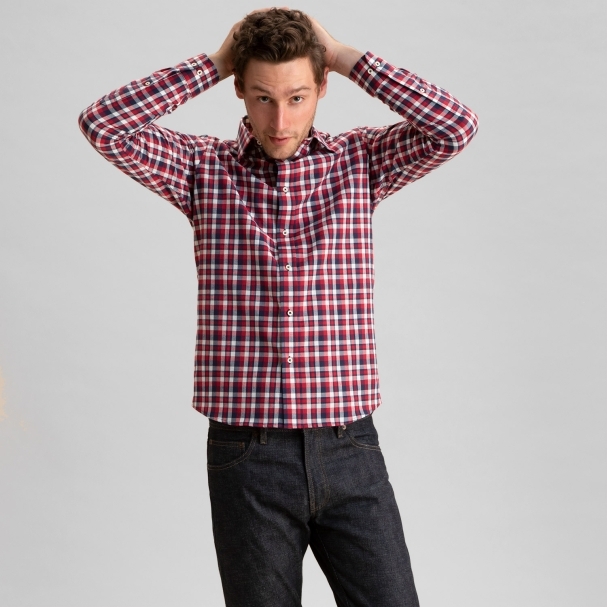 Wear with our Pro Original Darks jean for a look that speaks to the creative thinker.